Advantage Baseball is an indoor baseball academy with a team of highly experienced baseball and softball instructors. Advantage Baseball hosts a combination of camps, individual lessons and team training programs and conveniently located on the corner of Jackrabbit and West Road in Houston, Texas. 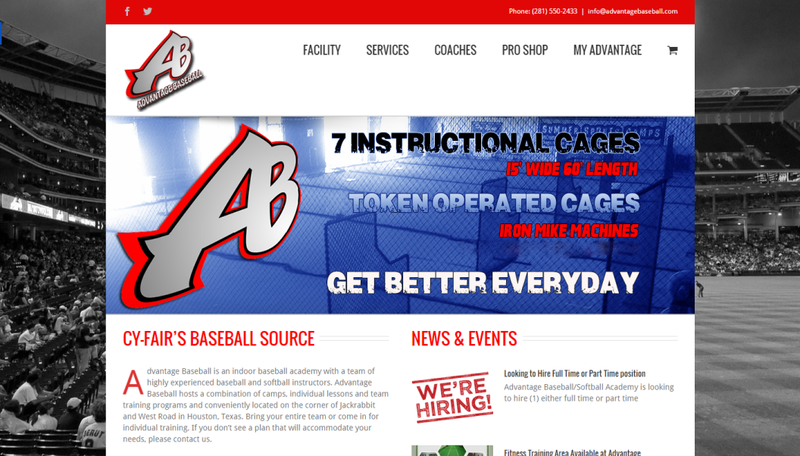 The Advantage Baseball website is a brochure-style website with advanced features including an online shop, online batting cage reservations and rentals as well as memberships. The site also houses rotating news and advertising opportunities that monetize the website.